Teaching abroad is something that lots of teachers dream about doing. If you have always dreamt of living and working in another country, the time to do it is shortly after you have completed your college work. This is not something that you should put off. Going overseas to teach in Cambodia is easy while you are young and don’t have lots of obligations. It is much harder when you have a spouse and family to consider. In the past many people were reluctant to accept teach in Cambodia positions because the country had a rough reputation. Today, the country is slowly starting to change its image, and more teachers are feeling comfortable enough to consider the available teaching positions. One of the things that you might want to think about when you are debating an opportunity to teach in Cambodia is that these types of teaching positions tend to attract a different type of personality than teaching positions in other parts of the world. Most people take on international teaching positions because they want to earn a living while also having an opportunity to see the world. The teachers who find themselves in Cambodia usually end up there because they want to feel like they are doing something to make the world a better place. The individuals who accept a position to teach in Cambodia don’t expect their day to end when class is over. After dismissing their students the individuals who teach in Cambodia usually start to volunteer. The individuals who teach in Cambodia are generally really active, aren’t afraid to get their hands dirty, and enjoy nothing more than having an opportunity to do good deeds. If you are considering setting aside time to teach in Cambodia, one of the things you are going to want to keep in mind is that this is not a well-developed country. Most of your pupils are going to be the children of farmers. You will also have to consider the fact that your living conditions probably aren’t going to be as good as you would get if you were to take a teaching position in another part of the world. Despite the less than top-of-the-line living and working conditions, most of the people who teach in Cambodia list it as one of the best experiences of their life, and can’t wait to go back. 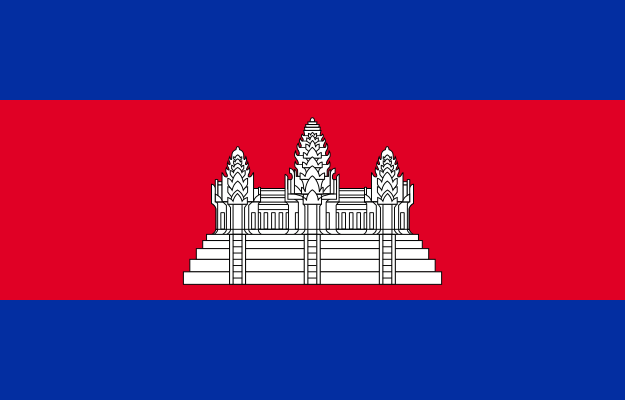 Cambodia is a developing country with a constitutional monarchy and an elected government. King Norodom Sihamoni is the constitutional monarch and head of state. Elections for Members of the National Assembly were held in July 2008 and are scheduled to take place again in July 2013. The July 2008 elections sent representatives from five different parties to the National Assembly, with the Cambodian People’s Party holding a majority of seats. The country has a market economy, with approximately 80 percent of the population of 13.4 million engaged in subsistence farming. The government has generally good relations with its neighbors despite strains over residual border disputes and other historic antagonisms. The quality of tourist facilities varies widely in Cambodia, with the highest standards found in Phnom Penh, Siem Reap, and Sihanoukville. TESOL Certification for Teaching English to Speakers of other Languages in Cambodia.